A trip to Southwick’s Zoo won out over the Celtic Festival this weekend. Our children decided a trip to the zoo would be more fun though my husband and I were leaning more toward the festival… We couldn’t complain though the trip to Mendon and Southwick was one we had on the radar screen anyway since the whole Zoo New England controversy. We took the trip out on Saturday which was a nice but hot day. 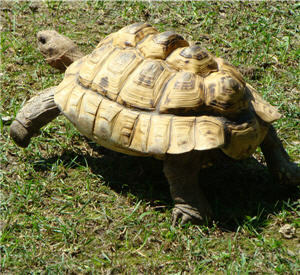 Southwick’s Zoo has a wide variety of animals in their zoo. My children’s favorites were the elephants and gorillas. I think I was more amazed by the giraffes and the huge entrance for them into the barn that houses them. Even though it is a pretty walkable zoo plan to take some breaks. You can break for lunch or take the train or skyfari ride which takes you over the zoo where you can see the animals from above. That part of the trip was pretty neat and my son greatly enjoyed it. Something to consider when you visit the park is that rides are also part of the experience. The train ride and Skyfari ride are considered better for older kids. The other rides are catered more to those 8 and under. The ticket prices are either for the zoo or for both(which they call combo) so be sure to ask what they advise. We were advised to buy combo tickets for the adults and pay for the skyfari and train ride separately for the kids since that would be more cost effective. So think about whether your kids are really going to be taking advantage of the kiddie rides or not. There are shows throughout the day so if you want to take advantage of the bird shows and elephant shows it might be better to check the times beforehand so that you don’t miss your window as you travel around the zoo. There are also actual elephant rides which tend to be a big hit with children(not necessarily adults). Though the prices a more expensive than the Franklin Zoo for example the experience for us was worth it. If our kids opinion counts(and it should since they bore quite easily) it was “the best day ever”. 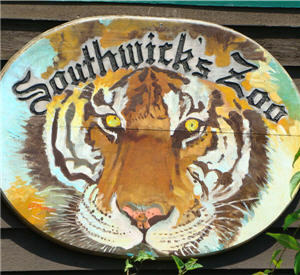 Open April through October Southwick’s Zoo is a real family treat. Located in Central Massachusetts, a short trip from Worcester and about an hour from Boston it is a good candidate for a family day trip. There was a minor incident with a 4 year old getting hit by one of the deer at the petting zoo. We actually decided not to go into the petting zoo when we went. We were fine just seeing the deer through the fence. It seems the incident was caused by another child possibly scaring the deer. I wanted to include this to make sure you plan according to what you feel is important for your trip to this Zoo.